The second season of The Good Place is almost here! And, with its return, The Good Place reviews, which I am writing, will return to The TV Ratings Guide. This article will list what I am hoping for in that second season. In the first twelve episodes of The Good Place's first season, we learned very little about Michael, and for a reason: he isn't who he appeared to be. The finale showed some scenes of him outside of the neighborhood, which revealed that he actually created a bad place, not a good place. This season, I hope we can see more of Michael's life prior to his creation of this bad place. I am excited to learn more about all four of the members of the "Good Place", but the one that I feel we really need to know more about is Tahani. Unlike Jason and Chidi, who each got two flashback episodes, Tahani only got one episode in season one where she was featured in the flashbacks. As a result, we don't know all that much about her, and we don't know yet how she died. Hopefully season two will reveal these things about her. This is a show full of wonderful actors, but most of all I love D'Arcy Carden, who is hilarious in her role as Janet, and who is given many opportunities to be great. I hope that season two will include more iconic Janet moments, such as in season one when she kept bringing Michael cacti, or when she married Jason. Eleanor and her friends seeing what's beyond the "Good Place"
I would love if the four of Eleanor, Chidi, Tahani, and Jason were to see what is beyond this fake good place this season. Along with this, I hope we get to find out more about how this universe works, and how one really gets into the Good Place. I cannot stress enough how much I loved the reveal in the season finale that the "Good Place" was actually the Bad Place. The twist itself is shocking, and the way that it was presented was absolutely brilliant. There's no way that the season two finale could provide us with a shock on the level of that first season finale (which should easily be able to go down as one of the best twists on television ever), but I hope that something big and crazy happens in the second season finale as well. If it doesn't, it would be a real disappointment. 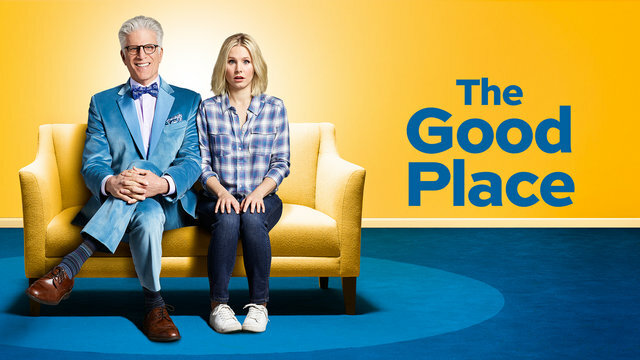 The second season of The Good Place premieres with a special one-hour premiere on Wednesday, September 20th at 10:00 on NBC, and then begins airing regularly on Thursday, September 28th at 8:30. What are you hoping for in the second season of The Good Place? Leave your thoughts in the comments!